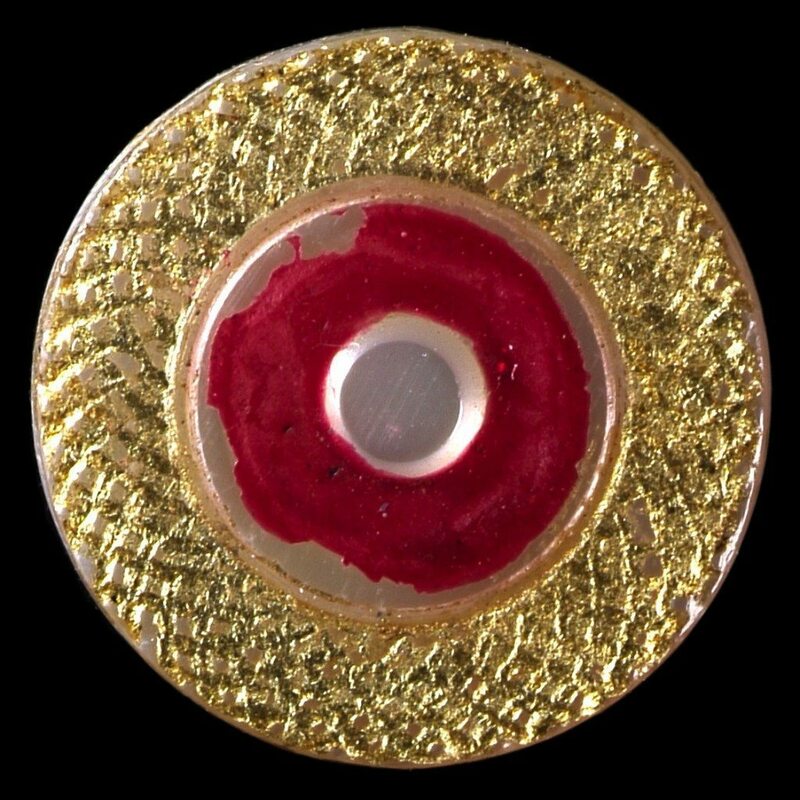 A mother-of-pearl button, produced around 1795, and engraved with concentric designs. The inner section is coloured with red pigment, while the outer section is gilt. This button has a drilled brass swaged-in shank.